Korsteel 3 Ring Dutch Gag. The Dutch Gag is a single jointed bit that acts on the tongue, the bars of the mouth and the palate. 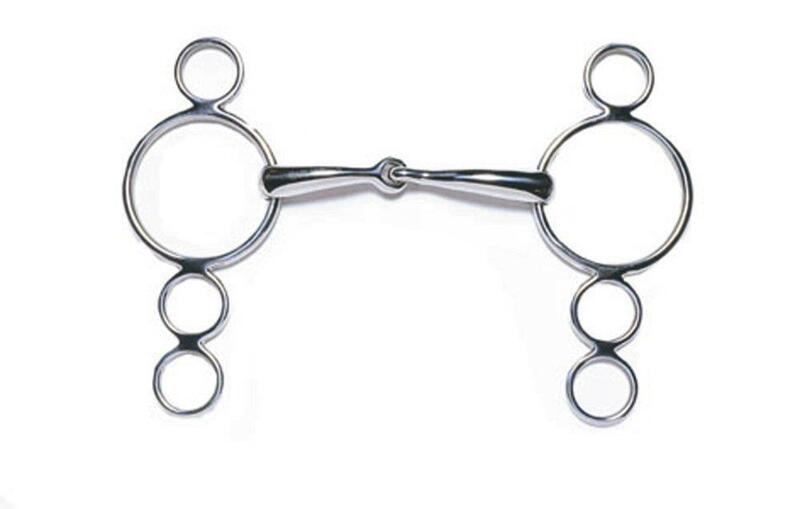 The Dutch Gag uses a lever action which raises the bit in the horse's mouth and helps the rider to maintain control of the horse. Poll pressure is also applied when the reins are placed on the lower ring. 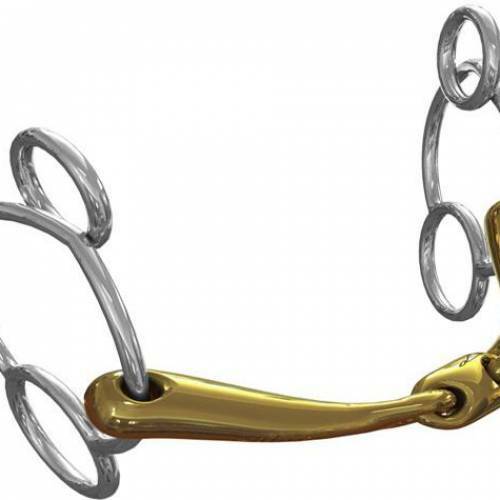 Two reins should be used with the Dutch Gag 3 Ring; One on the main snaffle ring of the bit and the other on the second or third lower ring. 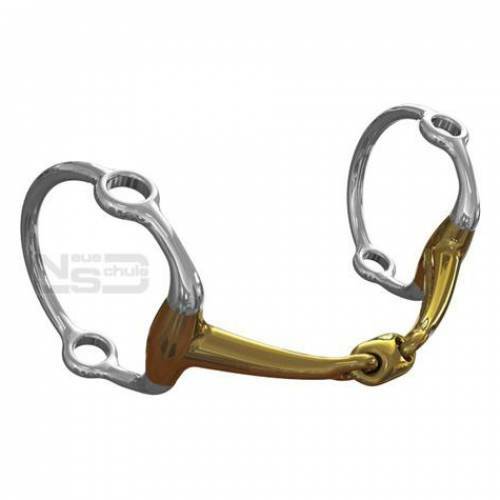 If only one rein is to be used when using the Korsteel Dutch Gag then roundings should be used to help maintain a better contact with the horse's mouth. The Korsteel Dutch Gag is made from stainless steel.